The 22 oz. portable Sport Berkey® Bottle is durable, handy and convenient; ideal for traveling and exercise. 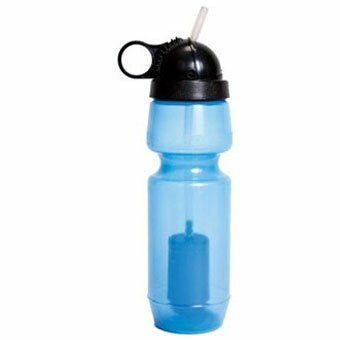 Bottle is constructed from a safe, non-leaching, LDPE #4 medical grade polymer, which is BPA Free. The Generic / Non-Labeled Sport Berkey® Bottle is identical in function to the Sport Berkey® Bottle but is provided without a label and is lower in price.